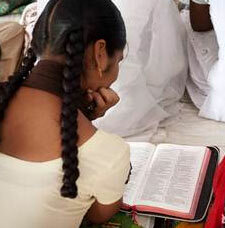 Bring the Word of God to South Asia! 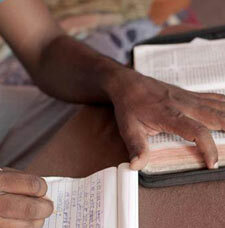 Can you imagine living as a Christian without a Bible? When you want to grow in your walk with the Lord, where would you turn? What if you were the only believer in your home? Books are very valued in Asian cultures, yet many in Asia do not have a Bible. They lack a treasure that is filled with wisdom, encouragement and glimpses of the heart of their Creator. You can help! For $5, you can provide at least one Bible or New Testament. With your donation to GFA Bible Society, you will play a part in enabling someone to receive their very own Bible or New Testament. By raising funds, you are providing the Word of God as a tool for pastors, national missionaries and those new to the faith! When someone receives a Bible, they can search Scripture for themselves and are better equipped for sharing His Word with others. A tool to help Christians grow deep in their relationship with Christ. Copies of the Bible for those seeking to learn about Jesus. Guidance for those in leadership as they minister to those in their community. 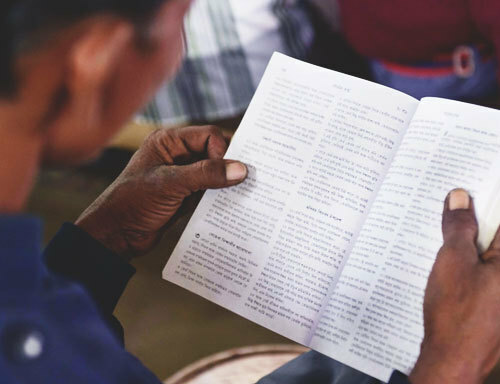 By raising funds for Bibles, you can help bring the Word of God to South Asia! Write us a short note below. © Gospel for Asia • We're a 501(c)(3) nonprofit charitable organization. • All gifts are subject to GFA's Gift Acceptance Policy. All donations to Gospel for Asia are income-tax deductible to the extent allowed by law.